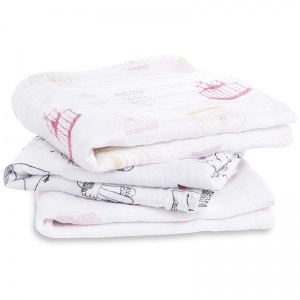 The Baby Hamper Company sell a variety of muslin cloths. 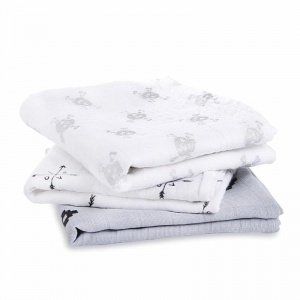 Traditionally used as baby nappies, muslin cloths have developed to the ultimate multi-use use baby gift. They can be used as burp cloths, to mop of spills, lightweight baby blankets, summer pram blankets, tummy time mats and much more. 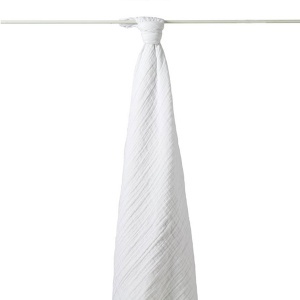 We stock plain white and bright printed muslin's and are an essential item to add to your own unique hamper. Choose from a range of unisex designs or ones for boys and girls. 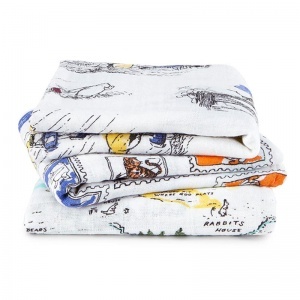 Our print range includes as the ever popular 'Jungle Jam' elephants and monkeys, the newer 'Vintage Circus' with performing lions and zebras and pink floral prints, Add one of these to your baby hamper and our new parents will be sure to thank you! Create your own new baby selection with us today, and get luxury gift wrap, with luxury tissue paper, and gift box all tied with a big red bow!